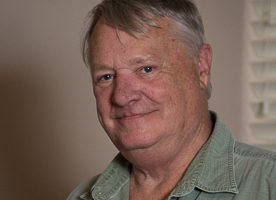 John Nuhn (President) is the former photography director of National Wildlife magazine, the flagship award-winning publication of the National Wildlife Federation. After 43 years in the publishing industry, including 34 years selecting and managing the photography at National Wildlife, he left the magazine in 2013 to pursue his own projects. John also served as photo editor of NW’s sister publication, International Wildlife. Early in his career, he was associate and later managing editor of a small book publishing company. 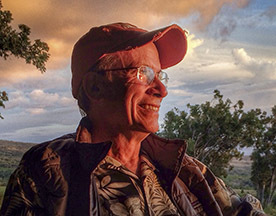 A self-taught photographer, John is one of NANPA’s founders and a past president of NANPA and the NANPA Foundation. He is also a charter affiliate member of the International League of Conservation Photographers and a past national board member of the American Society of Picture Professionals. 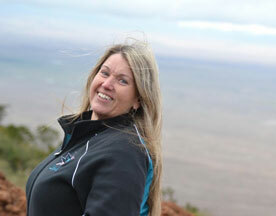 Mary Jane Gibson (Vice President) is a NANPA Charter Member, having joined in fall of 1994. She has attended every summit since the first one in Ft. Myers in 1995, and served NANPA on the Environment, Ethics, and Membership committees. In 2007 she volunteered to manage and enlarge the fundraising auctions for the NANPA Foundation, after which she served six years as a Foundation trustee, four of them as president. 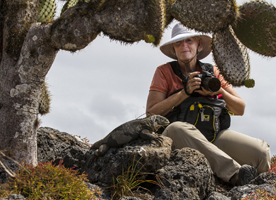 During her leadership, she proposed the NANPA Foundation Photo Tours, along with continuing to manage the fundraising Silent Auctions, followed by the Marketplace Store, at the summits. 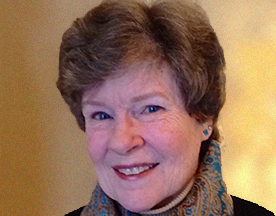 After two years’ hiatus, she has returned as a trustee to the NANPA Foundation. She has been a serious semi-pro nature photographer since 1987, specializing in birds and wildlife as well as travel photography. Jane Halperin (Secretary) has served on the NANPA Foundation Board of Trustees since 2016. She has been a member of NANPA since 1996. Bruce Haley (Treasurer) is a Charleston, WV native has always felt the need to create. He experimented with writing, music, painting and crafts. While finding all these expressions somewhat satisfying, it wasn’t until he found photography that Bruce knew he had found what he had been searching for all his life. Bruce uses the camera lens as his paint brush. Since November of 2002, Bruce’s award-winning photographic works of art have been displayed in more than eighty exhibitions in West Virginia, Ohio, Kentucky, Colorado, North Carolina and California. His work is included in many corporate and private collections including six pieces in the State of West Virginia’s permanent art collection. 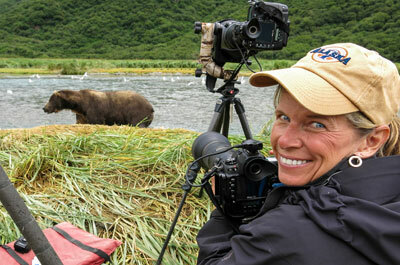 Cindy Miller Hopkins (Past President) is a full-time travel and wildlife photographer with thousands publications to her credit. Her images can be seen on the pages of hundreds of text books, travel brochures, calendars, U.S. and international magazines and consumer products. Some of her clients include National Geographic Traveler, Wells Fargo, American Express, Microsoft, AAA & Frommer’s travel guides, BING homepage images and TV’s Food Network. She has an image on permanent display at the Smithsonian’s National Museum of the American Indian in Washington D.C. Cindy travels on average 200 days a year. Her career has taken her to seven continents and over 140 countries. When not on the road, she lives at home with her husband in Colorado Springs, CO. Cindy has been a NANPA member, active volunteer, committee chair or Board member since 2002. Dee Ann Pederson (Trustee) is a native Texan, and brings both passion and unique vision to her photography, her photo safaris, her community service and her personal presence. Her distinctive tours explore “special places” such as Tanzania, Alaska, Iceland and India. Dee Ann’s work is published across North America as well as internationally, and includes fine-art prints, clothing, calendars, travel books and commercial products. Her own “Nature’s Inspirations” calendars and note cards span 10 years. Her work is continually recognized for excellence; Smithsonian exhibits for four years and recently Contest Wilderness Forever, celebrating the 50th Anniversary of the Wilderness Act. Dee Ann offers her time, talent and resources to over a dozen organizations committed to sustainable balance of the earth as a community. She is a long-standing member of NANPA and the Foundation Board. Alice L. Robertson (Trustee) joined NANPA in 1996 and attended her first Summit the same year while a photography student at Daytona Beach College in Florida. Finding NANPA was a welcome discovery as she turned her studies to wildlife, nature and travel photography after graduating with an AS in Photo Technology. In 2000, Alice joined the Foundation Board. 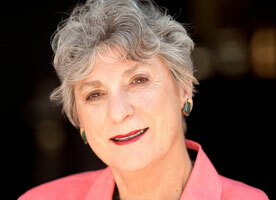 In 2002, she proposed the NANPA College Scholarship Program, one of the Foundation’s most successful endeavors. Alice was honored by NANPA with their Outstanding Service Award for her work with the College program. She is instrumental in helping the Foundation further their scholarship and grant programs by attending NANPA Summits and helping to fund a variety of NANPA programs. Sonia Wasco (Trustee) Sonia has been the president and chief executive officer of Grant Heilman Photography since 1995 and worked for the company for nine years prior to leading the stock photography agency. Prior to joining Grant Heilman Photography, Sonia was an award-winning agriculture teacher at Warwick High School, the school district in which our office is located. Sonia has been an active volunteer in the local and state agricultural community for more than 25 years. Her extreme interest in the conservation of the agricultural heritage of Lancaster County has earned her an appointment by our County Commissioners as a member of the Board of Directors of the Lancaster County Conservation District. Sonia is a Past-President of the Picture Archive Council of America, the trade assoication for image providers in the United States. She has a Master’s degree from Penn State University’s Agricultural Science program and an B. S. from Delaware Valley College of Science and Agriculture. She and her husband, Frank, are active outdoors people and live in Leola, along with their three purebred Black Labrador Retreivers. Teresa Ransdell (Executive Director) brings to NANPA more than 20 years of experience in association management, mostly in membership recruitment and retention. She earned her Certified Association Executive designation in 1998 and completed a Master’s program in nonprofit management. 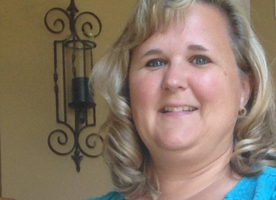 Teresa enjoys traveling, reading, walking her dog and spending time with her husband, daughter and son. Gordon Illg (NANPA President) and his wife, Cathy, have been working as full time professional nature photographers since 2000. Their work appears in nearly every major nature and travel publication, including numerous covers of magazines like Backpacker, Defenders, National Geographic Young Explorer, National Geographic Kids, National Wildlife and Ranger Rick. In the extreme print category, several of their images decorate the tails of Frontier Airlines’ jets. They have also done well in photo contests, the highlight of which was being flown to London to accept awards in the Wildlife Photographer of the Year Competition. Their livelihood now revolves around sharing the magic of wild things and wild places with other photographers because they lead photo tours under the name Adventure Photography.He served on the Communications Committee for many years, led two regional events and is currently the chair of the Professional Issues Committee. He has been instrumental in setting up the new webinar program that has been so successful. In July 1960, at the age of 26, Jane Goodall, PhD, DBE (Honorary Member) traveled from England to what is today Tanzania and bravely entered the little-known world of wild chimpanzees. She was equipped with nothing more than a notebook and a pair of binoculars. But with her unyielding patience and characteristic optimism, she won the trust of these initially shy creatures. She managed to open a window into their sometimes strange and often familiar-seeming lives. Today, Jane’s work revolves around inspiring action on behalf of endangered species, particularly chimpanzees, and encouraging people to do their part to make the world a better place for people, animals, and the environment we all share. 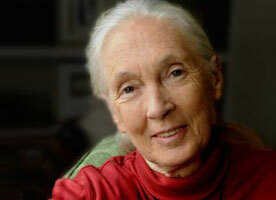 The Jane Goodall Institute is a global nonprofit that empowers people to make a difference for all living things. Dewitt Jones (Honorary Member). Twenty years with National Geographic photographing stories around the globe has earned Dewitt a reputation as a world-class photojournalist. As a motion picture director, he had two documentary films nominated for Academy Awards. His column, Basic Jones, has been a mainstay for Outdoor Photographer Magazine for over 25 years. 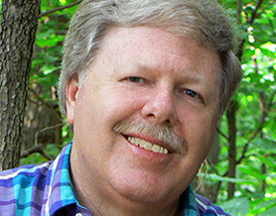 Dewitt has authored nine books including The Nature of Leadership with Stephen R. Covey and has produced a library of best selling training programs. A member of NANPA since its inception, Dewitt has keynoted many of our national Summit Meetings. In 2007 NANPA, honored him with the Lifetime Achievement award. 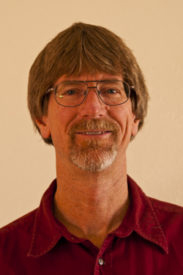 Dr. Thomas E. Lovejoy (Honorary Member) is a renowned ecologist who works on the interface of science and environmental policy. He helped bring attention to tropical deforestation and published the first estimate of global extinction rates. He spearheaded the long term study on Amazon forest fragmentation and coined the term “biological diversity”. 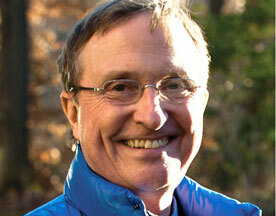 He founded the television series Nature, the most popular long-term series on public television. His numerous accomplishments include Assistant Secretary for Environmental and External Affairs for the Smithsonian, serving on the President’s Council of Advisors in Science and Technology, scientific advisor to the executive director of the United Nations Environment Program and chief biodiversity advisor for the World Bank. He also serves on many prestigious scientific and conservation boards and advisory groups and holds a professorship at George Mason University. 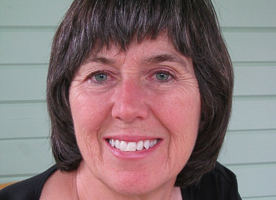 Susan Day (NANPA Executive Director) is an award-winning writer and photographer specializing in backyard wildlife. Her images have been published worldwide in magazines, calendars, ads, and as 10’ murals in medical facilities. She’s written hundreds of articles, been a book consultant, editor and proofreader, and wrote “The Wildlife Gardener’s Guide to Hummingbirds & Songbirds From the Tropics.” Susan is a charter NANPA member and joined the Communications Committee during her first summit in 1995. Since then she has worked on or chaired nearly every committee in NANPA and served 8 years on the board of directors (including Treasurer and President). She and her husband, Richard Day, own Daybreak Imagery, a stock photography and writing business where they’ve licensed their work since 1990. Together they have created a wildlife sanctuary on 63 acres in south-central Illinois in efforts to restore and preserve habitat to areas impacted by agricultural development.